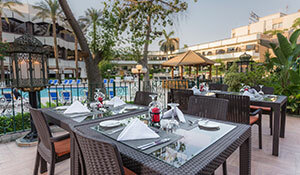 Craving a true oriental culinary experience? 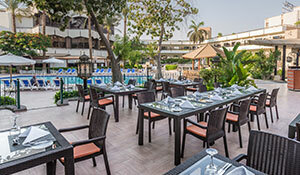 Afandina Restaurant has the prime location overlooking the pool area to provide you with a unique experience with a variety of mouth-watering oriental and Lebanese dishes and shisha flavors. 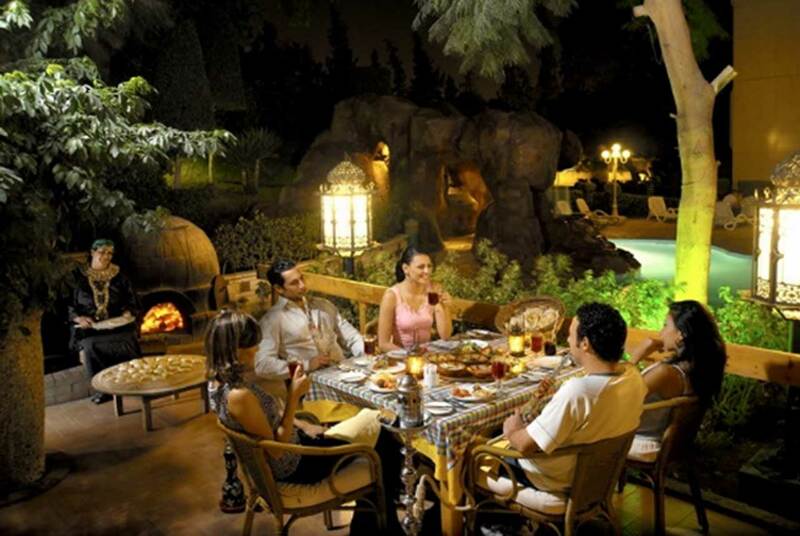 Taste the best Lebanese dishes in a true oriental setting in Afandina restaurant. 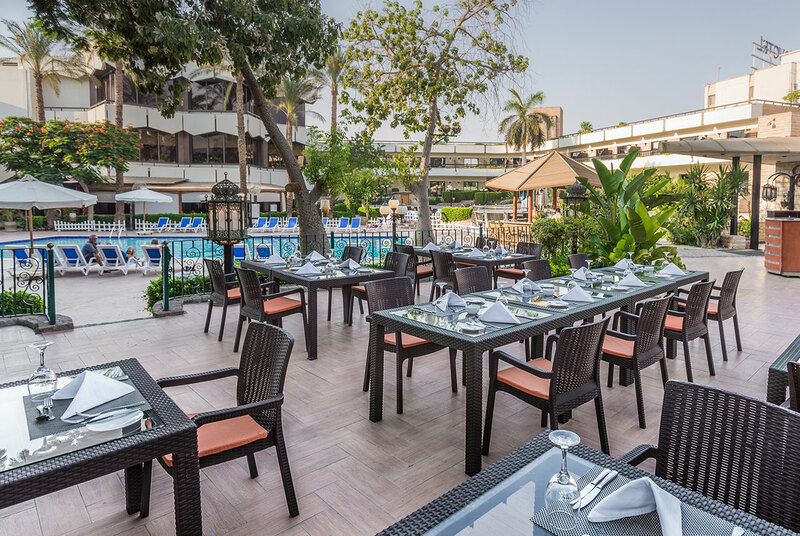 Enjoy the best of Lebanese delicacies and tender barbequed in addition to an array of authentic Lebanese salad such as fattoush, tabouleh and rocket salad. Don’t miss our delicious chicken liver and batata Harra. 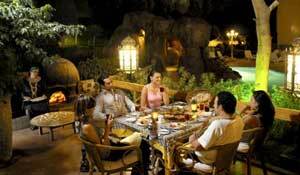 You can also enjoy the best Egyptian plates, cooked to a mouthwatering perfection, to make your meal unforgettable. 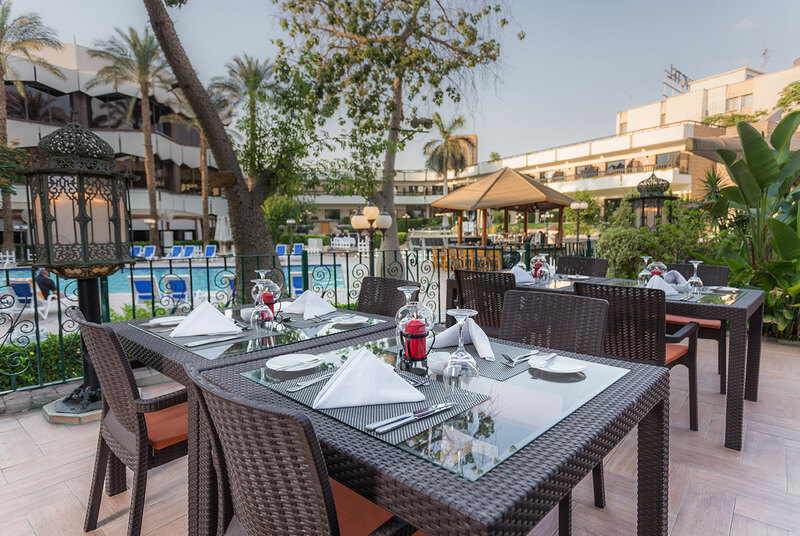 Ask for our varied selection of shisha flavors to complement your lunch or dinner. Afandina is open from 5pm until midnight.